I hope your week is going well & you're enjoying your summer. The kids started swimming lessons earlier this week, so we've been spending the morning at the pool everyday & will be until the end of next week. The weather has been beautiful & I'm enjoying the sun while I watch them swim. Today's card was created with a variety of patterned papers from My Mind's Eye. I really like purchasing the 6x6 pads - they're perfect for card making! The patterns are a bit smaller & when I can find them at Winners & Homesense, the price cannot be beat! 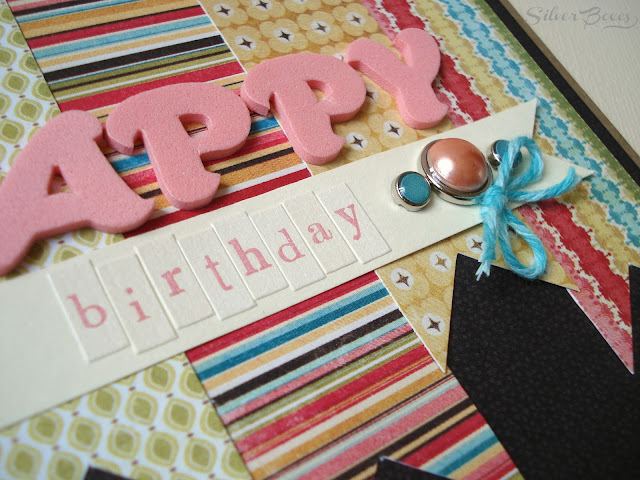 I started by using strips of paper that had a simple notch cut into the bottom. added a bit more detail with some brads & baker's twine. 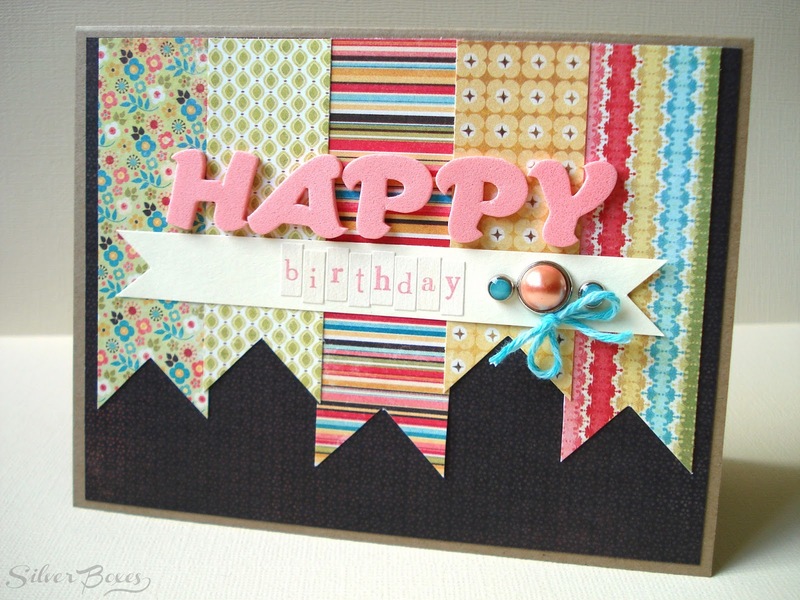 A trendy, colorful birthday card! So pretty. Love your color combo!